One of my hobbies is grilling and smoking mostly meat. It consist of 1 part necessity and 2 parts being creative. A staple of any griller has got to be the steak. 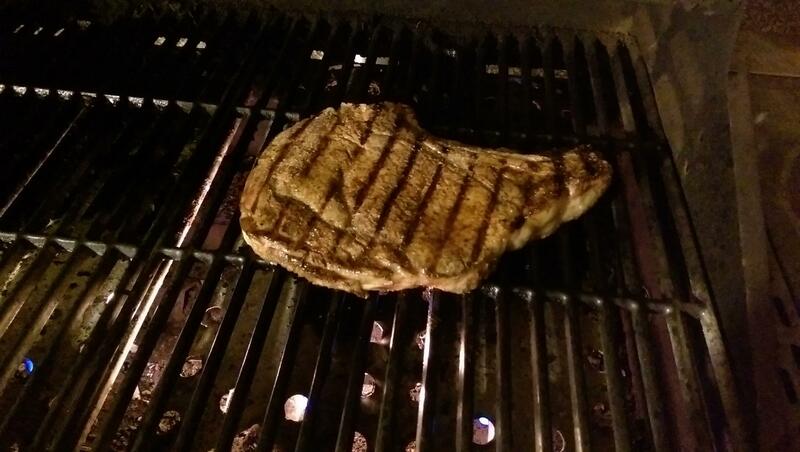 Come on, if you can't make a good steak can you really grill? I've marinates steaks overnight, in a vacuum, I've beat my steaks with a hammer, and I've stabbed them with forks- to name a few methods. I can't even guess how many steaks I've grilled - some of them mouth watering, and some of them timeout taking too long to chew. 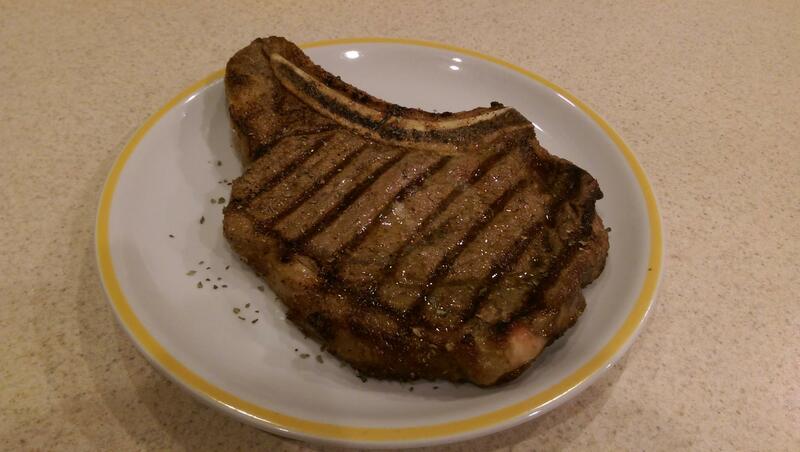 So, I think it's only fitting that I start out this new Recipes tag with how I grill the best steak. Ribeye. I don't have a huge preference between bone in or boneless, but it must be marbled. A lean steak is not acceptable. If it's lean you'll try to start making up for what's missing in flavor by eating it nearly raw. The other cuts have their place. For example, a stew. The ribeye has so much flavor when done right, it's a hard cut to pass up. As for doing any trimming to the steak- I rarely do it. Sometimes there will be a large chunk of fat on the other side of the bone (away from the steak), which is pointless for taste, and I'll cut that off the reduce flareups. If you're really serious about tasting a good steak, skip the grocery store. Find a butcher that knows a thing or two about properly aging and cutting meat. With that said, Whole Foods usually has quality meats. 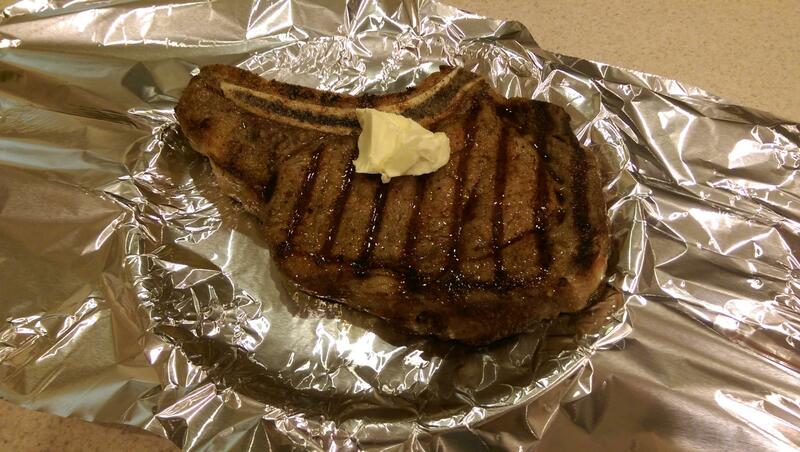 The first thing I do when I'm ready to grill is take the steak out of the refrigerator. I'll let it sit out 20 - 30 minutes while I walk around in circles talking about how I'm hungry before firing up the grill to the highest setting and giving it a good scrub after it's warmed up. You want to get your grill as hot as you can- somewhere close to 500F. I use a gas grill, but on special occasions I'll fire up the charcoal grill. If you do use a charcoal grill, just make sure you have a hot side and a warm side (indirect heat). This cut will flare up big time if you keep it over high heat (you have been warned). Here's my go-to seasoning, but your mileage may vary. All you really need is salt and pepper with this cut but you may want more. This is something that I think is almost personal and it's probably something you'll want to hone in to your tastes. I tend to change the seasoning up a lot, mostly just fooling around to keep it original. Throw the steak on the grill and sear it. Sear, not burn. About 2-3 minutes per side. If you want to get fancy, hold it with some tongs and sear the edges as well. Then, go to low heat for the rest of the cook. On a gas grill, just turn it down as soon as you put the steak on. Now, ribeye with all that marbling (fat) is going to want to flare up when it starts dripping. This is the cut of steak to watch out for on this. You do not want to burn the steak. As soon as you see a flare up, move the steak quickly. The goal is not to burn anything. When the steak hits exactly 148F (checked with a good thermometer), remove it from the grill and put it in some aluminum foil with a tablespoon of butter and optionally a sprinkle of basil. Seal it up tight and let it sit for about 6 minutes. It's going to jump around 5F during this time. This is where the magic happens. The steak will finish cooking all the way through and the juices will begin to distribute. Don't let it sit any longer. This needs to be eaten immediately. 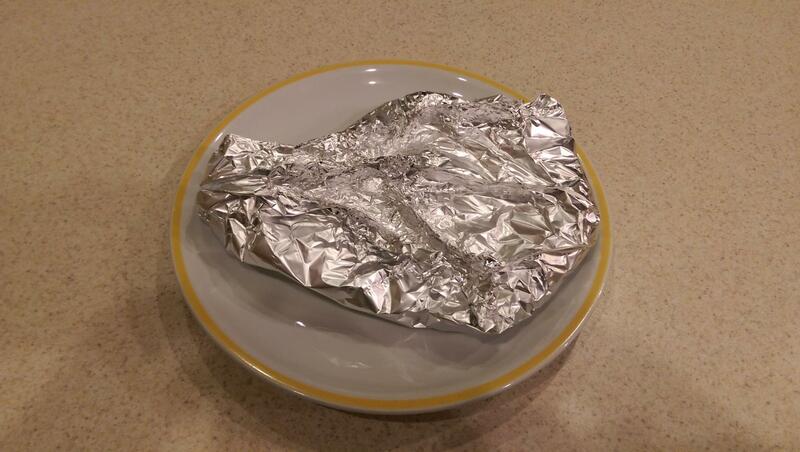 Take it out of the tinfoil and put it on a plate. If there may be some delay, heat up a plate nice and toasty to put it on. 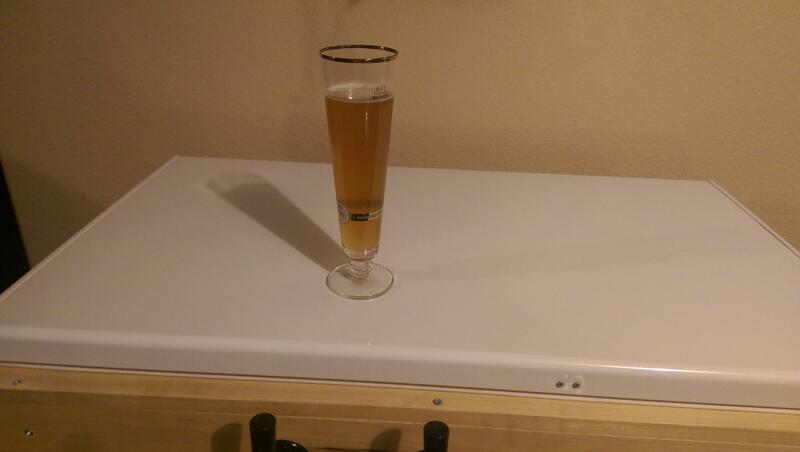 Pair this with your favorite homebrew and you're good to go. Give this method a try and let me know what you think.